Take, for example, these Chicago engineers who are well-known in the industry for their energy-efficient design concepts and practices. Not only are they aware of all the Chicago Building Code regulations, but they are also well aware of just how high the electricity prices are in the city and the ways in which these can be reduced. What this means to landlords is more money in their pockets rather than money spent on the overhead. Another tip is to have an energy auditor come in and take a close look at the energy-efficiency of your property. They are experts in the field and will be able to identify any areas where your energy efficiency can be improved. After the audit, you can then use these recommendations to make renovations and changes to the building. Solar energy is a technology that has grown and evolved by leaps and bounds over the past decade. Today, it is a very real solution for rental properties that are looking for a way to save money. Not only that but depending on your state, you may even be eligible for a government credit if you install solar energy panels. While there will be an initial cost involved with this tip, at the end of the day, switching all appliances to energy-star rated models will result in savings. These appliances are able to use a much smaller amount of energy, maximize it, and still perform the task they are meant to. Another tip for landlords is to install programmable thermostats in all units of your building. Again, the government may offer rebates for making the switch, so be sure to look into it. These thermostats allow renters to adjust the amount of a/c or heat they are using, which means less energy is being used. 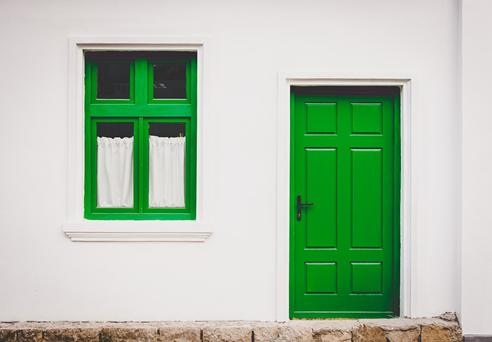 The great news is that there are a number of ways that landlords can start to make their building more energy-efficient and green, and each small change will add up.